1998's Best-Selling Title of the Year Celebrates 20 Years in 2018! 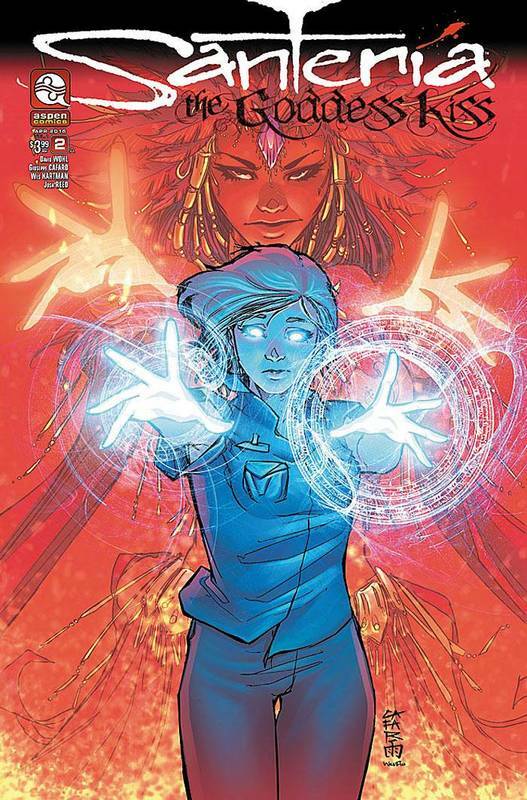 This all-new adventure for Aspen's preeminent hero sees her attempt to navigate an ever-changing world where The Blue are not only present above the surface - but exploited in new and dangerous ways. 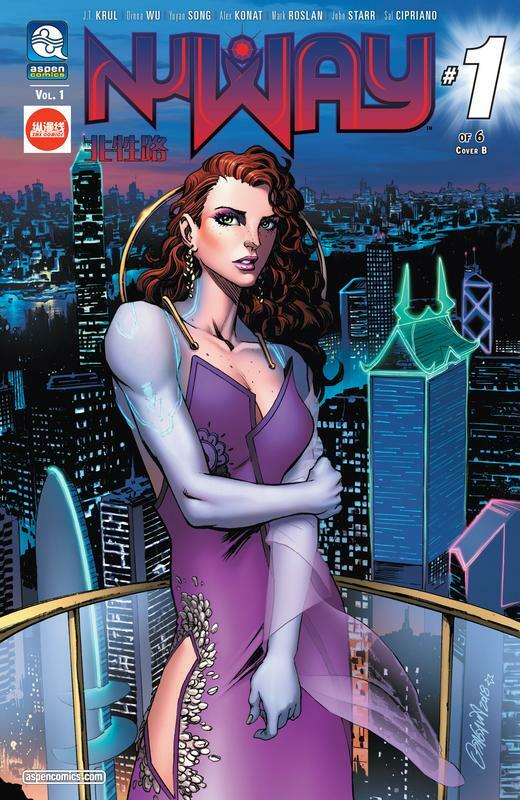 When a rival nation to The States decides to take control of the global landscape by tapping into the power of The Blue, Aspen Matthews discovers that a new adversary has risen to challenge the notion that she is the most powerful person on the planet - and humanity may suffer the consequences! 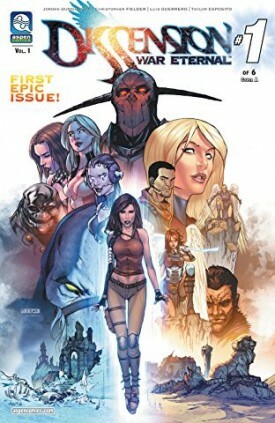 Michael Turner and Aspen Comics' flagship title commemorates its landmark twenty years since its debut in grand fashion! 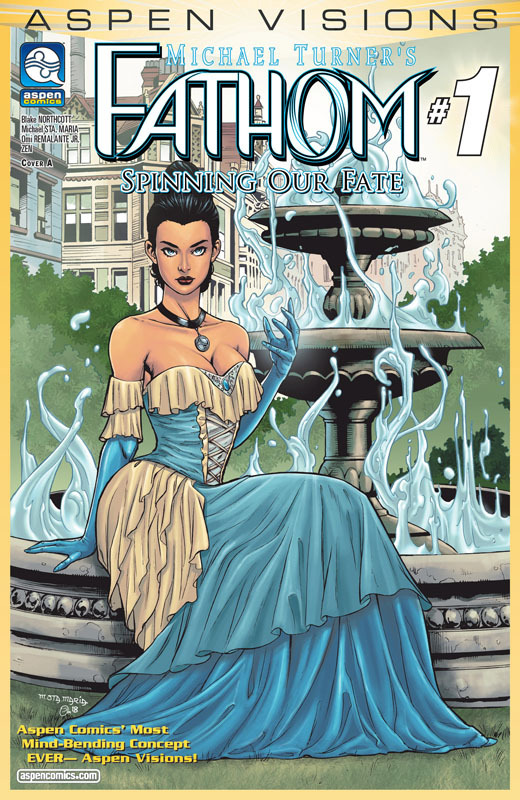 The superstar creative team of Ron Marz (Green Lantern, Witchblade) and Siya Oum (Lola XOXO) are on board to deliver Fathom, and the iconic heroine, Aspen Matthews, to a new generation of readers as well as loyal fans alike! 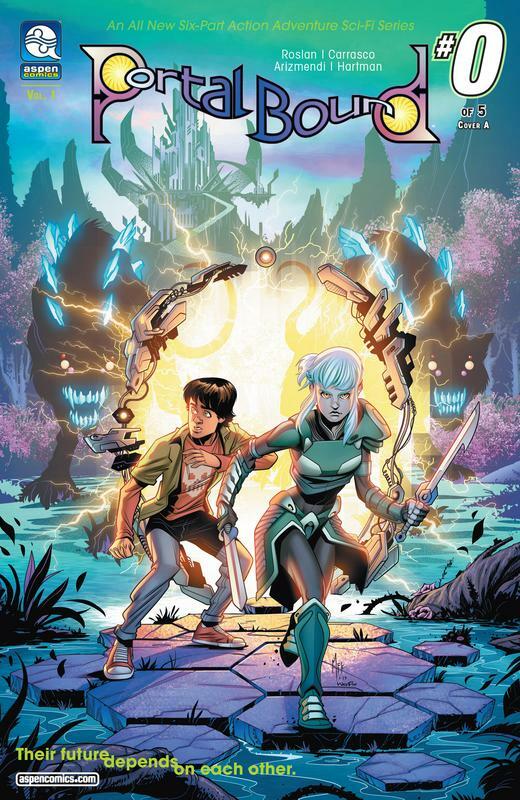 Introducing Remi, a young and energetic explorer and relic hunter, whose boundless curiosity leads to a startling discovery beyond anything she could have imagined! 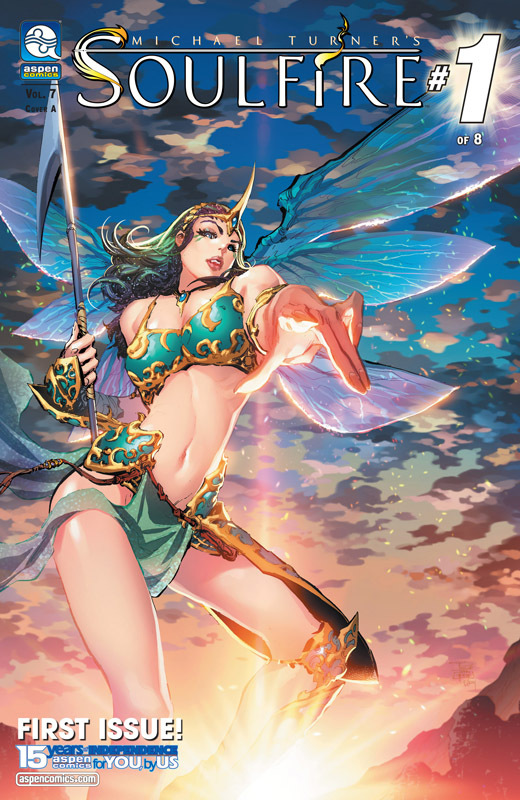 Along with her alchemist father, Remi works in secret, away from the prying eyes of the ruling clerics who lord over the realms of her world with their ancient decrees and strict devotion. Remi has her own sense of dedication - Her heart to adventure and her mind to the truth. But, what happens when that truth could change the fate of her entire planet, and destroy the very fabric of her civilization? 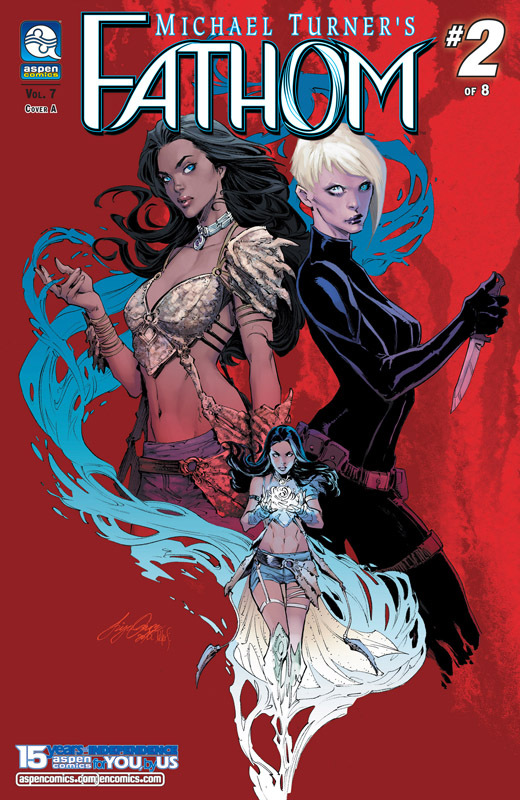 An all-new Aspen Comics action-adventure epic debuts from the mind of creators Vince Hernandez (Michael Turner's Fathom: Kiani, Charismagic) and J.T. 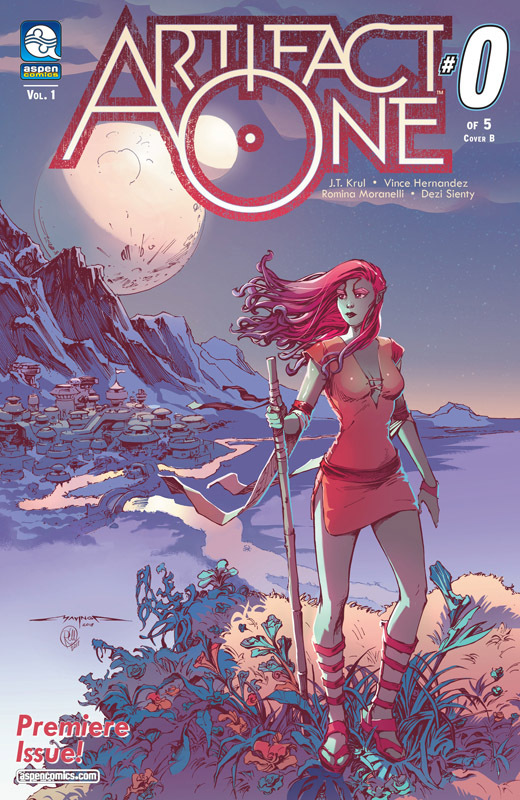 Krul (Michael Turner's Soulfire, Jirni) with breathtaking illustrations from newcomer Romina Moranelli! 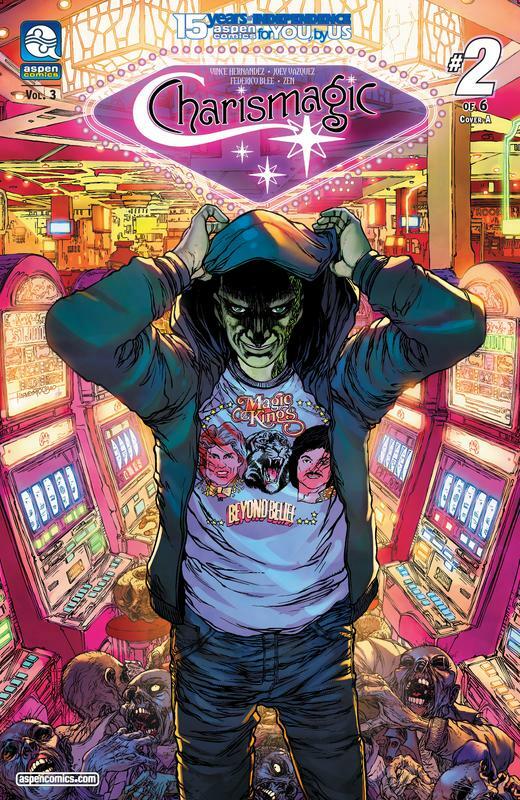 In the tradition of DC's Elseworlds and Marvel's "What If?" 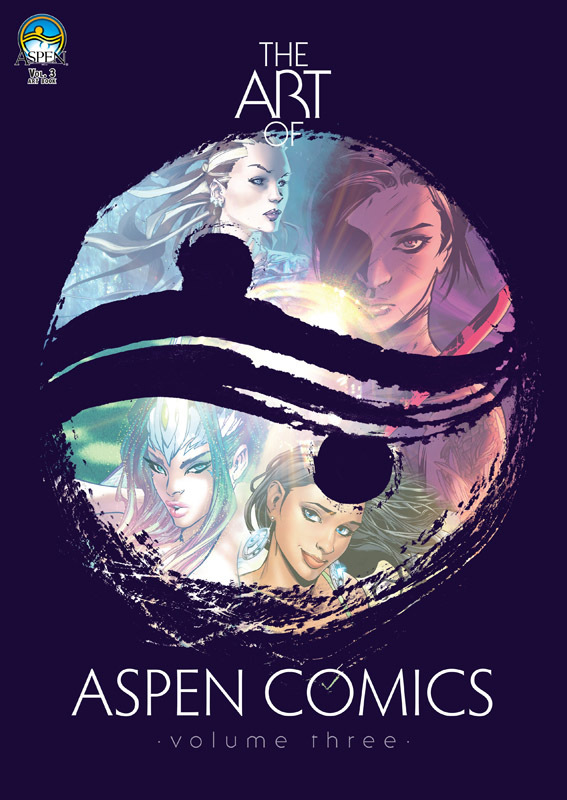 classic stories comes Aspen's most mind-bending concept ever - ASPEN VISIONS! 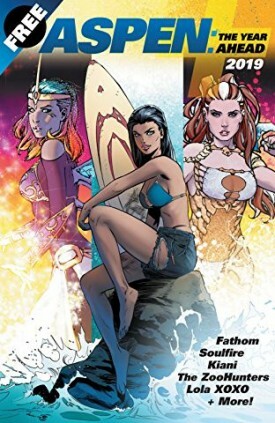 It all begins here in a special three part mini-series spanning across Aspen's most popular titles - Fathom, Soulfire and Executive Assistant Iris! 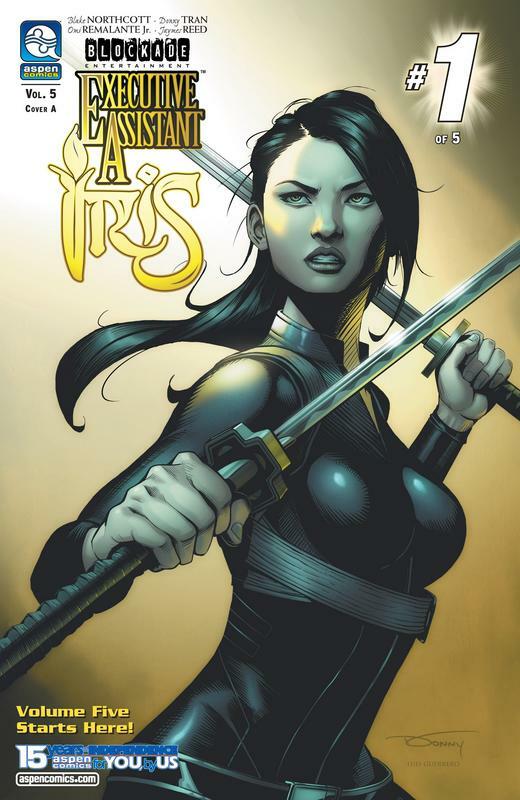 Journey through time and reality beginning in the pages of Executive Assistant: Iris, as the preeminent heroine Iris emerges in Ancient China in the middle of a deadly war! 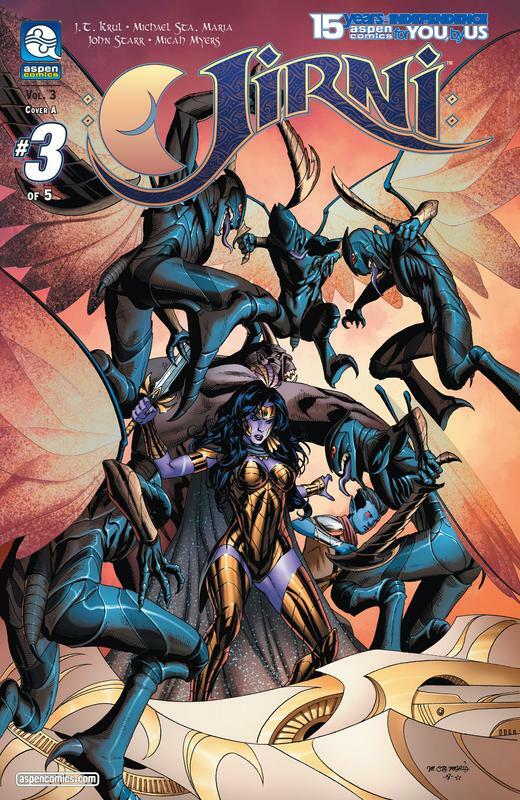 Just how does this battle from the past - and Iris--merge into the Fathom and Soulfire universes? 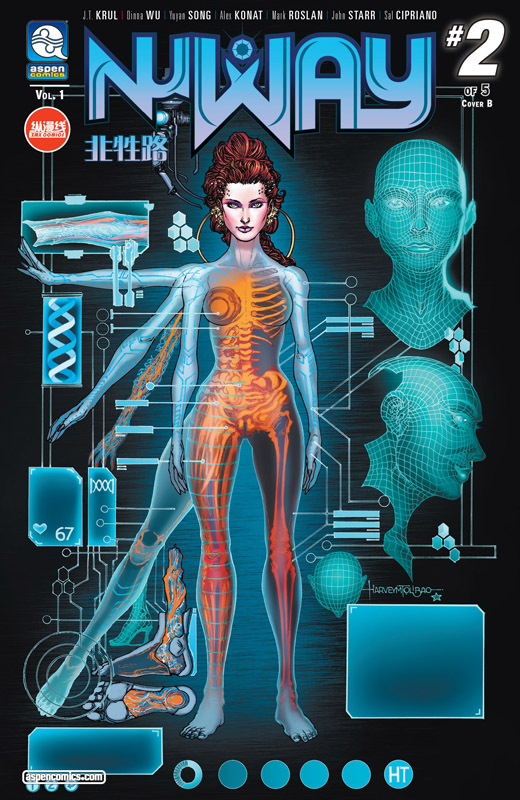 You'll have to discover for yourself in the pages of this three-issue event and the pulse-pounding launch of the all-new ASPEN VISIONS line of books that will shatter everything you know about Aspen's most popular characters! In the not so distant future... The U.S. has spent several years embroiled in a conflict with the invading forces of China. In the war zone of the American Southwest, small bands of freedom fighters have formed to help guide refugees away from the destruction. 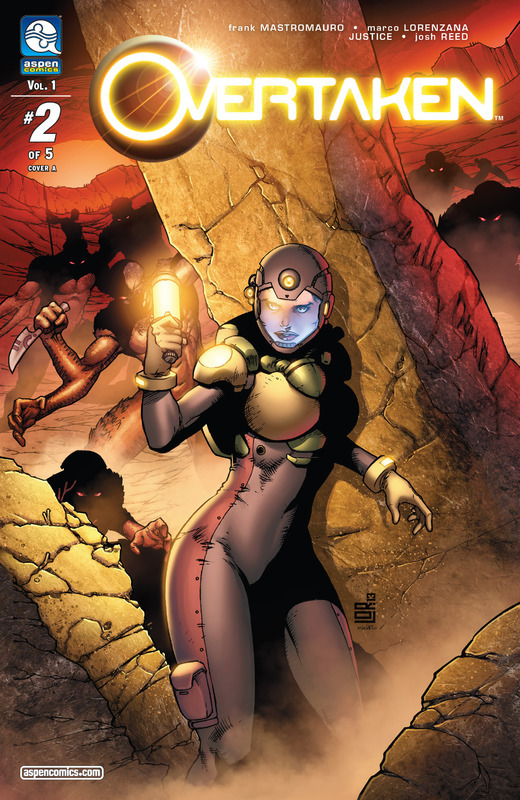 Isabel Vasquez, known to her squad as "Delphi", has been leading rescue missions inside the combat zone for years. Escorting those displaced from the war has fueled her faith that she is making a difference. But now that faith is increasingly tested by reoccurring nightmares of a coming apocalypse. She fears the war is only the beginning of a great threat... one that promises to bring humanity to the brink of extinction! 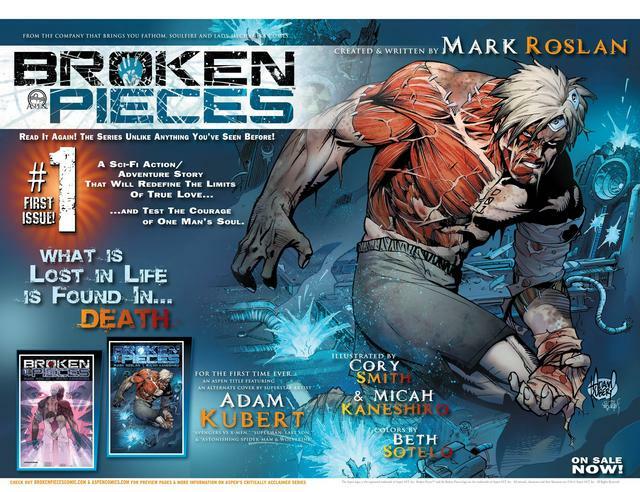 Unbeknownst to Delphi, a band of renegade angels has fled Heaven seeking a new refuge. The Earth has become their new home, where they view humanity as a plague that must be purged. As their path forges ahead toward global genocide, it is yet to be decided if Delphi and her growing visions of a global Armageddon can help stop them in time. 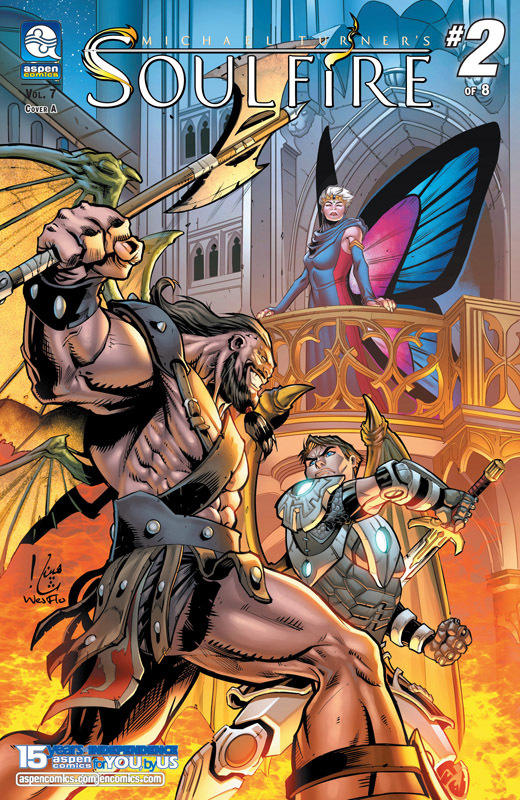 From artist and creator Jordan Gunderson comes Aspen's most thrilling new series of the summer, DISSENSION: WAR ETERNAL! 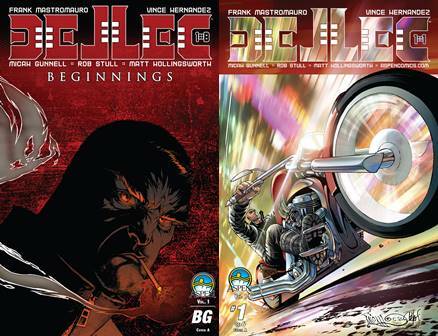 Collects all six issues of DELLEC, plus the zero issue and "Dellec: Beginnings!" 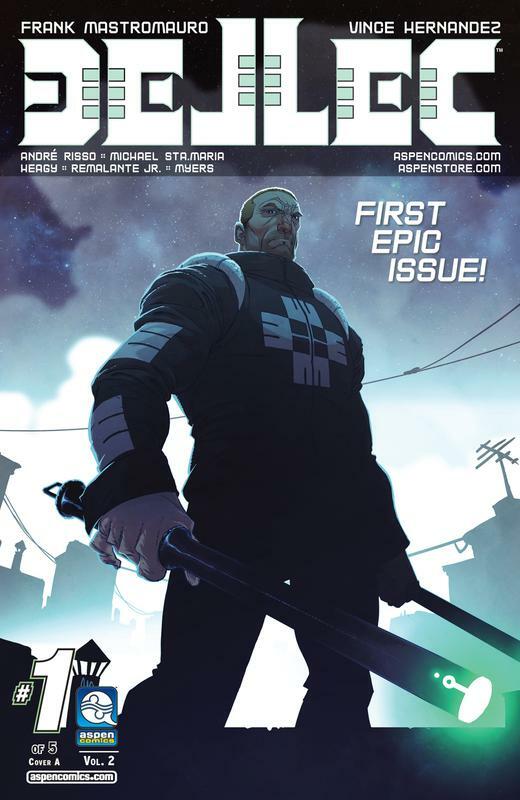 It's Spreading... Dellec is really an everyday man caught up in a blur of immorality, yet his quest is always clear-destroy the forces of evil where they flourish--and even places where the lines of good and evil are not easily defined. 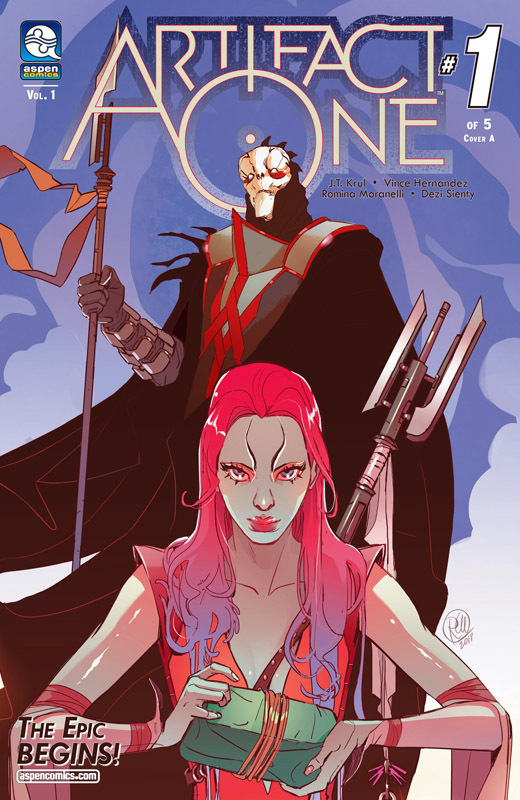 Following a tragic set of circumstances leading to his wife's murder at the hands of a malevolent Demi-God named Tera, our hero lands headfirst into the battle between good and evil-and his chances for survival are grim. However, Dellec is not one to back down from a fight no matter the foe-specifically when his own life hangs in the balance. 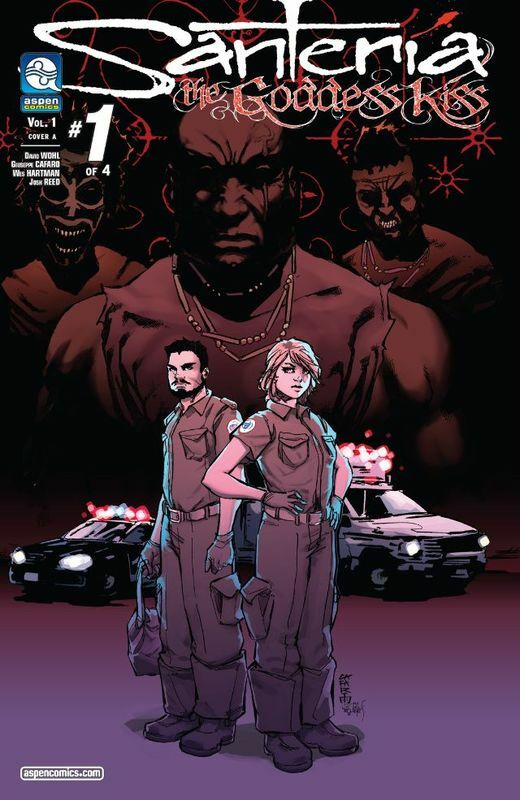 Along the way, Dellec will encounter a primal street gang, ambush an illegal street fight, track down a serial killer, and much more in this riveting first volume of his epic story. Dellec is one man's quest for vengeance and redemption as he attempts to take on the very being that created mankind itself-God! Life hurts more than death. 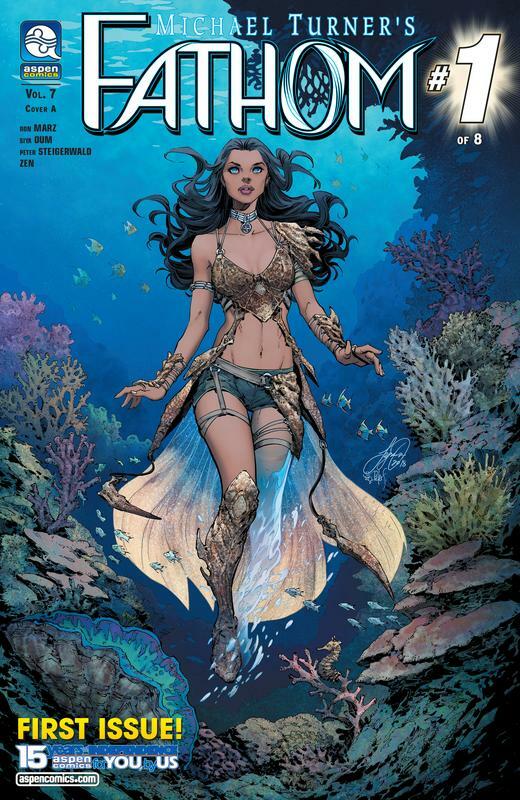 The first brand new Aspen series to debut in 2016, from the creator of Executive Assistant: Iris, Legend of the Shadow Clan and Witchblade, and the artist of Fathom: Kiani comes a new tale spanning centuries, deep within the heart of the ancient civilizations of Africa... Meanwhile in Spanish Harlem, Emergency Medical Techs Michael and Naomi are working the violent and unpredictable streets daily. However, nothing can prepare the duo as a routine Police shooting reveals something far more powerful - and dangerous - for Naomi's future! 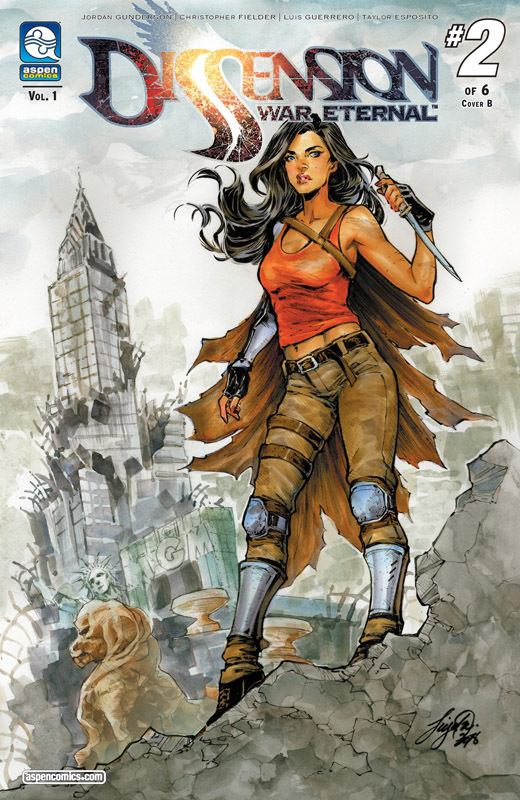 Aspen Comics' hit action-adventure assassin series marks its 10-Year Anniversary with a brand new pulse-pounding volume! When a routine security job takes a turn for the worse, Executive Assistant Iris realizes she might be at the crossroads of her career! 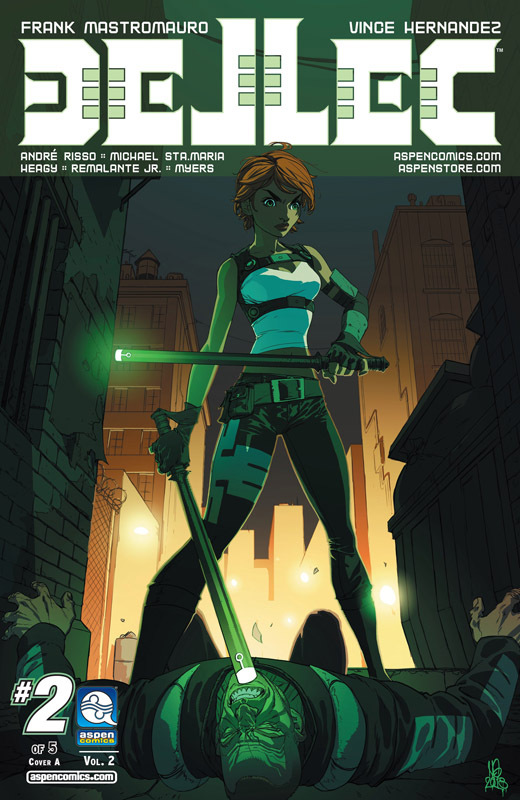 The world's deadliest assassin is faced with a choice: remain a freelance Executive Assistant, or join Magni Global - a mysterious corporation that has acquired nearly every private security firm on the planet. 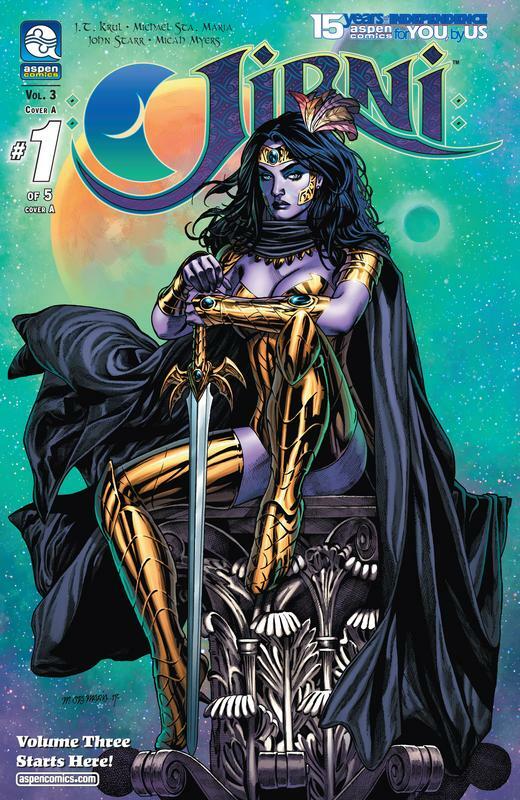 But, what fateful decisions may come from joining a giant conglomerate whose interests may spell doom for her?! 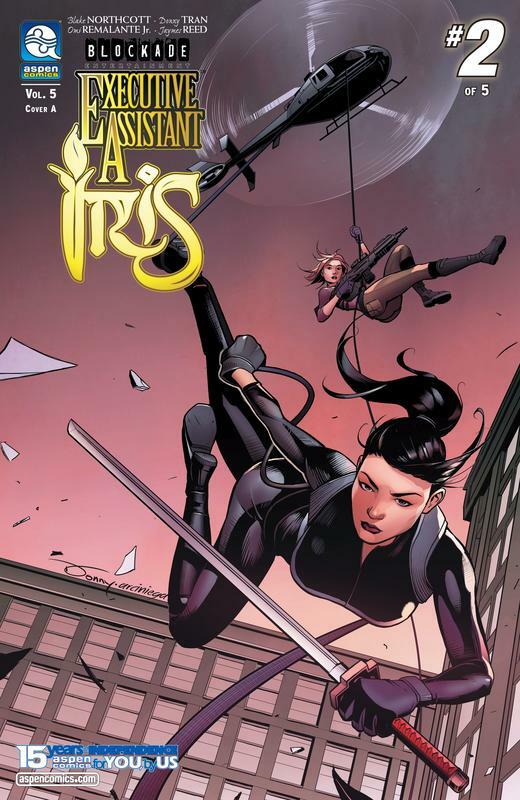 Brought to you by acclaimed author Blake Northcott (Michael Turner's Fathom) with art by newcomer Donny Tran and colorist Luis Guerrero, this newest pulse-pounding 10 year anniversary chapter of Executive Assistant: Iris is sure to be the greatest volume yet! 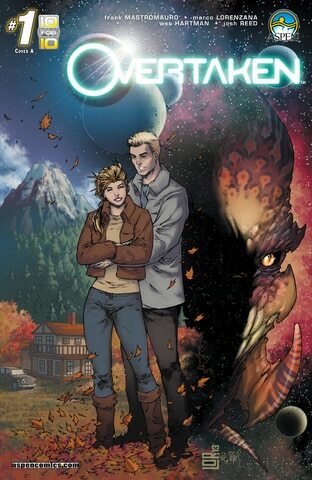 Their Future Depends on Each Other as Aspen's 15-Year Anniversary kicks off with the debut of their newest series! A parallel otherworld exists as a mirror to our own, where science is melded with nature and a warrior spirit defines their true value. 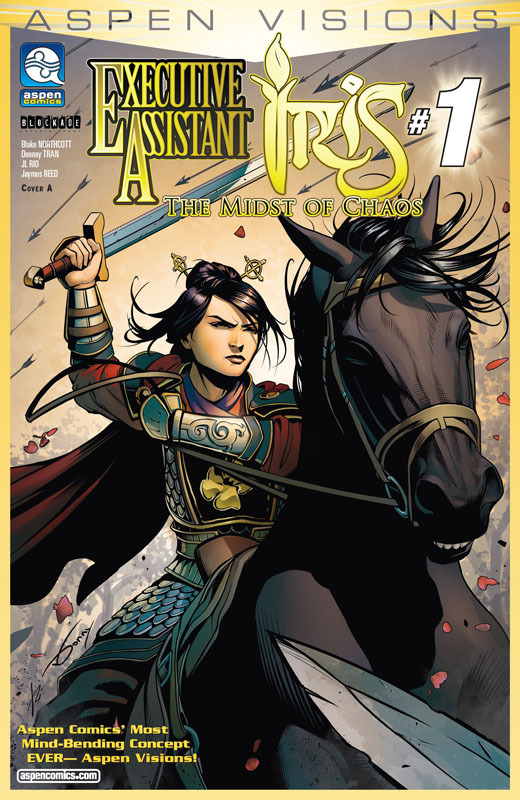 A teenage soldier princess, Sybil, is sent off with her Uncle Horuk in an effort to stop her megalomaniac father, Emperor Atilus from destroying two Earths. 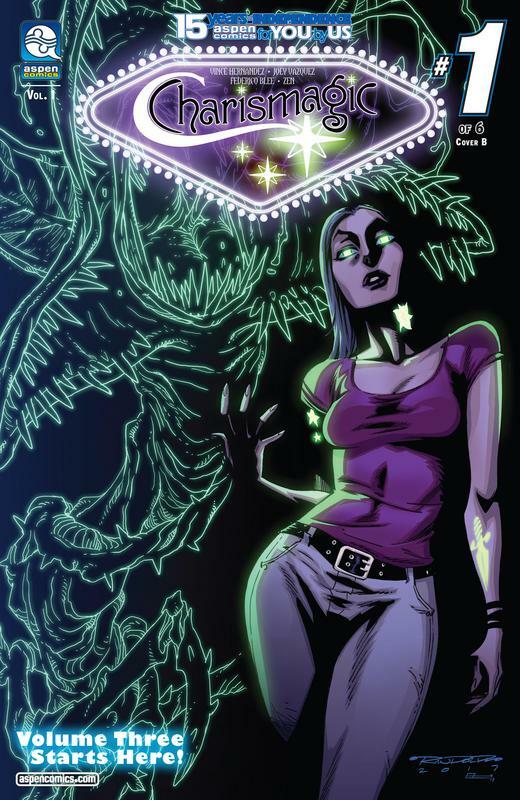 With a deadly array of monstrous creatures in hot pursuit, Sybil and her uncle race to activate a portal to Earth to find a savior who is also figuring out how to survive...being a teenager!